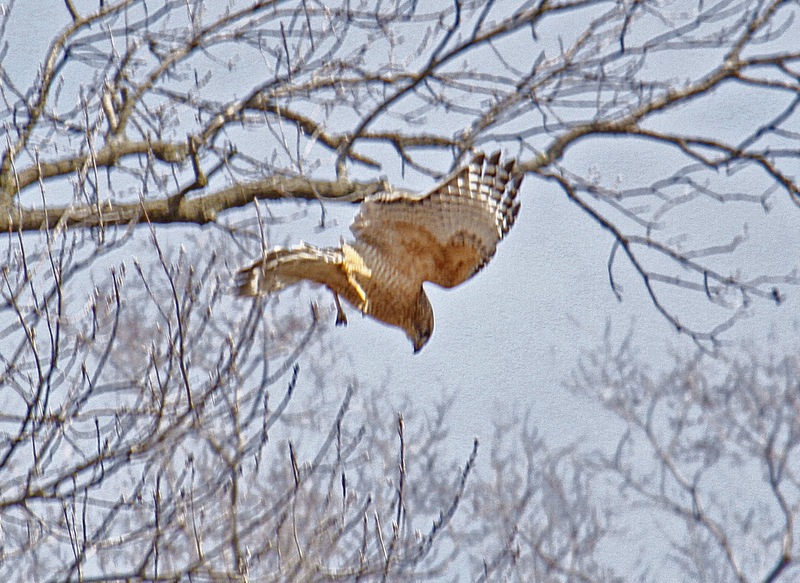 Another encounter with the local Cooper's Hawks. On a bright sunny day, I heard the Cooper's Hawks calling. Two hawks were active in the trees around me. On an oak branch, I saw one perched, took a quick shot. 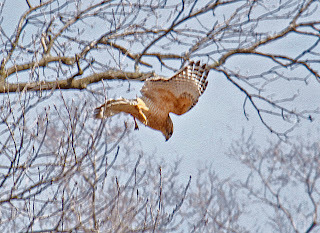 The image was way over-exposed. 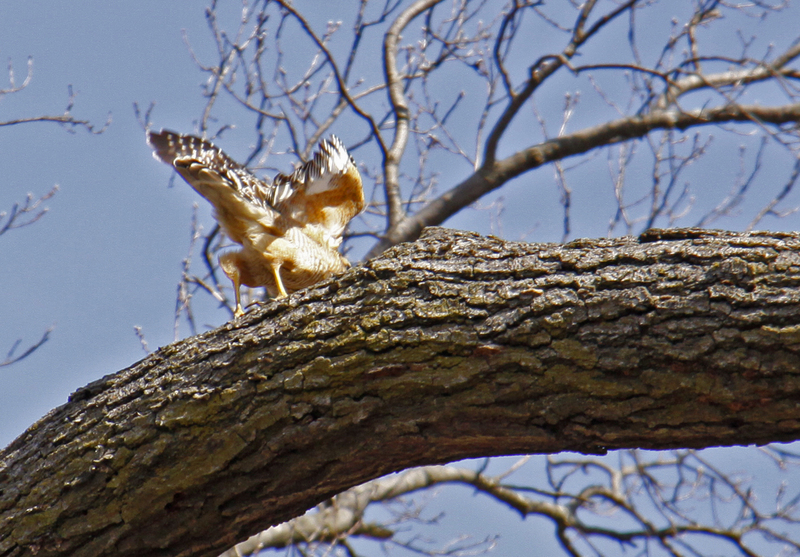 I adjusted the aperture, returned to where the hawk was and got this shot as it launched from it's perched. 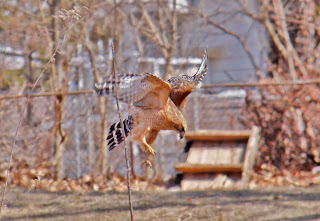 Following the bird, it was obvious that it was in an attack dive. 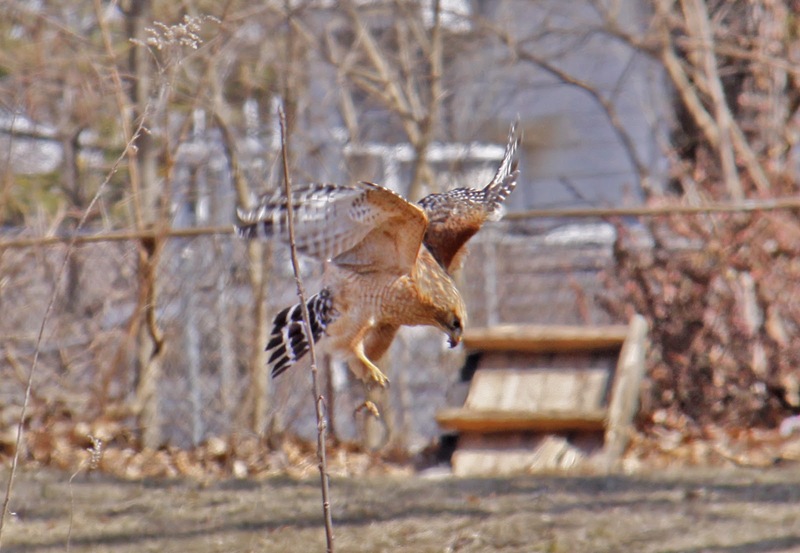 About six feet above the ground it hovered briefly then dropped behind my fence. I lost sight of it. 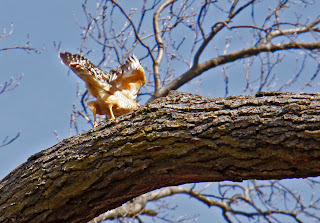 The hawk flew up into a high oak and perched next to his mate. He had caught a Garter Snake and offered it to her. She did not appear interested. 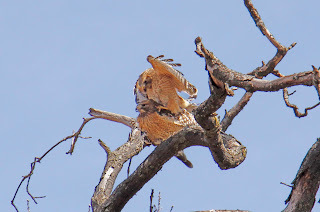 The female hawk is on the left, next to her tale is the snake. 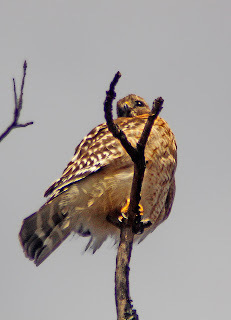 The female Cooper Hawks are larger than the males. 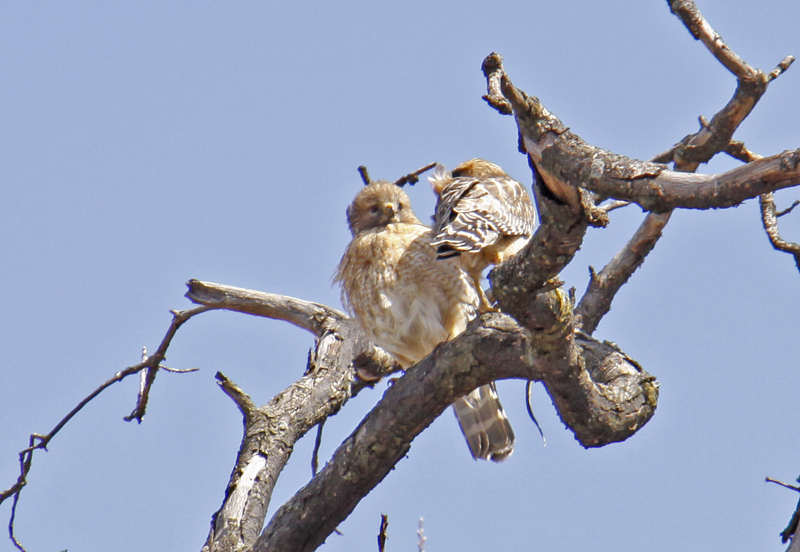 Here she sits on her perch while the male flies to a near by tree to eat the snake. 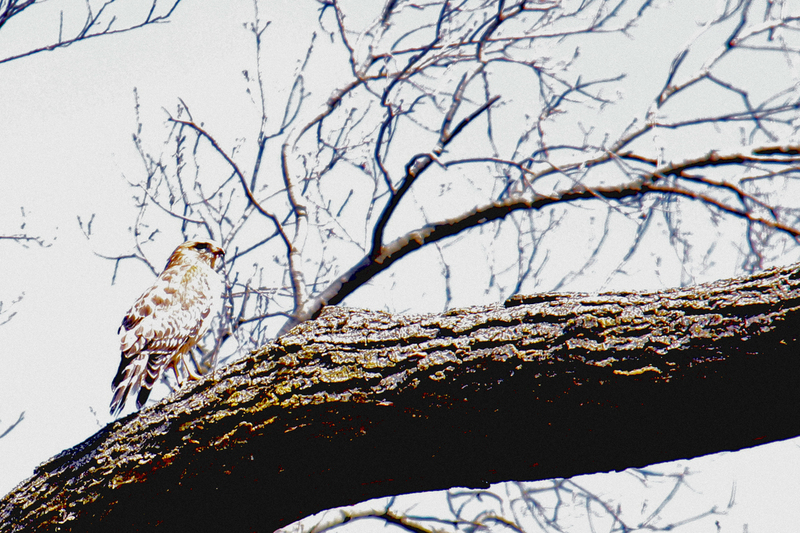 Upon his return, she vocalizes the mating call and the start of a new clutch of Cooper Hawks begins. 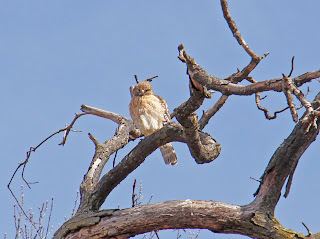 New to bird watching and need a little help identifying the birds you encountered in your journeys? Well, here is a good book to carry with you where ever you may find yourself, Peterson Books Eastern Birds. The American Robin ( Turdus migratorius ) is a sign of the coming spring to many in the northern United States. 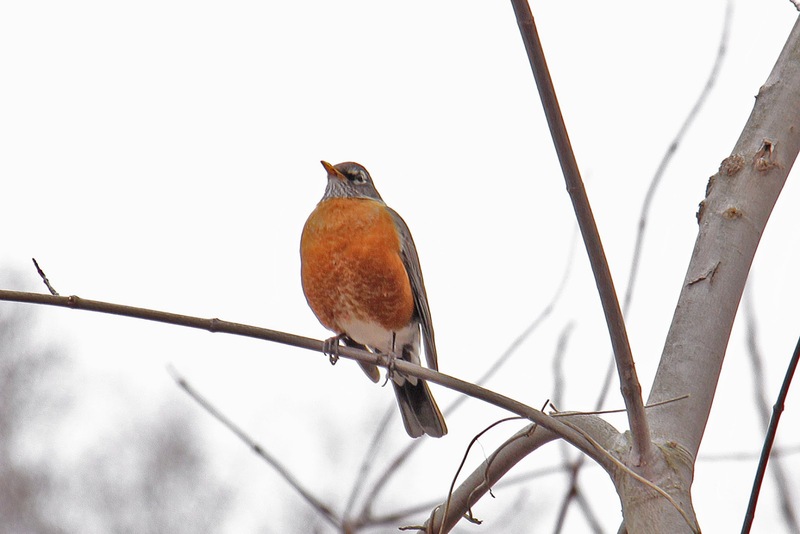 Late February and early March sees large flocks of Robins searching for berries, worms and insects during the late winter thaw. One of the earliest birds to nest and lay eggs, with many having more than one clutch of eggs in a season.